We received terrible news today that our friend, Roger Epperson, died in a drowning accident in Hawaii. Roger was a great, great human being with an equally great sense of humor (he was one of the “good ones” as Claudia says). He was also the park supervisor for the East Bay Regional Park District’s Black Diamond Mines, Morgan Territory, and Round Valley Regional Preserves – not coincidentally these are my three favorite Regional Parks. It would be impossible to list all of the significant contributions that Roger made to open space preservation and stewardship in the East Bay. He received a Mountain Star Award from Save Mount Diablo in 2002 in recognition of those contributions. 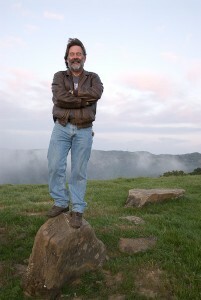 I took this photo of Roger on the evening of the third day of Save Mount Diablo’s 2006 Four Days Diablo hiking trip. We traditionally spend that third night at the Morgan Territory Backpack Camp. Roger was responsible for creating that campsite (along with similar campsites in Black Diamond Mines and Round Valley), and he always made sure it was ready for us. He and his wife Carol (and sometimes their dog Kua) would often join us there for dinner. After dinner we hike up to a ridge above the campsite to enjoy sunset and one of the best views of Mount Diablo that exists – this photo shows Roger in his element, enjoying that spectacular view of the mountain from one of his favorite places with a group of friends who share his love and passion for nature, open space, and parks. Our sympathy goes out to Roger’s wife Carol, his family, and many friends. However, I doubt that Roger would have wanted us to dwell on the sadness. So please, go take a hike in Morgan Territory, Black Diamond Mines, or Round Valley, and think about Roger every time you do – whether you recognize it or not his fingerprints are all over those amazing places. Peace Roger, we won’t forget you. Here is a great slide show tribute on YouTube created by one of Roger’s friends. A Contra Costa Times article about Roger written by Denis Cuff. The Contra Costa Times has also set up a Guest Book where you can post condolences for Roger. Here is a link to a nice 1999 story about Roger in the San Francisco Chronicle. © 2008 – 2011, Scott Hein. All rights reserved. This entry was posted in East Bay Regional Park District, Open Space, Save Mount Diablo. Bookmark the permalink. What a guy that Roger. He was gentle and kind to all. Roger has been a huge part of my East Bay Regional Park hiking experiences over the last 35 years. He helped me see the beauty of the parks through his eyes. I am most grateful for his life’s work in preserving the parks for us all. Roger Epperson was a friend since High School. He was a focused enviornmentalist before it became popular. He loved Mt. Diablo. It was part of his visera. He was such a creative person also- making jewelry as a part time hobby. Roger, you will be sorely missed. I was a park supervisor in the same work unit as Roger for many years and for the past five years, his manager. I just loved working with Roger! Many was the time when I was down and discouraged that he revived me with his wry sense of humor and passion for our work. He was absolutely dedicated to the lanscapes he cared for and loved. Roger, I will always remember you with with joy. I’m glad our paths crossed for as long as they did. While our relationship was one of mostly business, I will say I am saddened at the loss of a great gentleman. It was never just about business, it was always about life. He loved to talk about his experiances, family and the environment. I feel blessed to have known him, even if it wasn’t more of a personal relationship. I would have liked to know him better. I was shocked when I heard it on the radio, although I thought they said Robert.. A little bit of googling and I found out the sad truth. I always knew you would make your mark in this world when you tortured us as neighborhood kids with snakes, lizards and an alligator. From the haunted house in your garage, to eating choclate chip cookies every day after school. 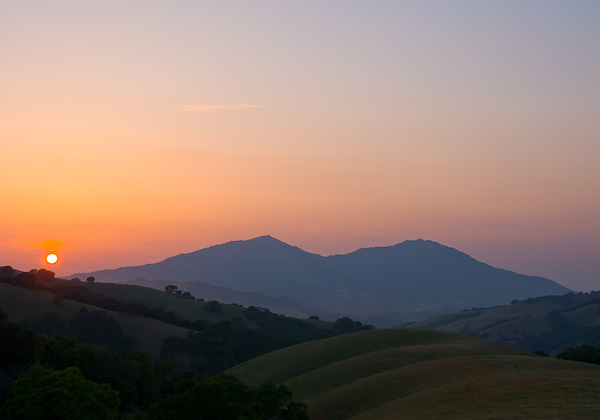 May the dedication at Morgan Territory be your shining star on Mt Diablo. I was not aware. . .so sad, so sorry, dying loving what you do.